In the Birds of the Bible – Partridge, I Samuel 26:20 mentioned the flea. 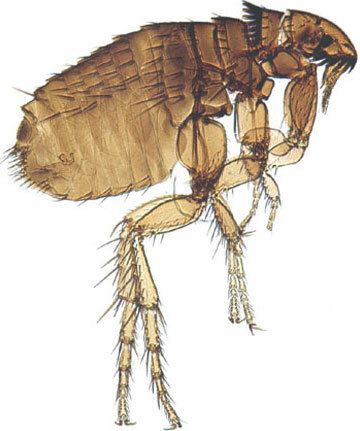 Here are a few interesting things about the flea. “Undoubtedly, the rat is most infamous for its role in the spread of plague, both in the Middle Ages, and more recently, in heavily populated Third World countries. However, the rats themselves do not pass on the disease: rather, it is the fleas living on the rats which take the infection from rodent to human. 1/8-inch (1.5 to 3.3 mm) long), agile, usually dark colored (for example, the reddish-brown of the cat flea), wingless insects with tube-like mouth-parts adapted to feeding on the blood of their hosts. Their bodies are laterally compressed (human anatomical terms), permitting easy movement through the hairs or feathers on the host’s body (or in the case of humans, under clothes). Their legs are long, the hind pair well adapted for jumping (vertically up to seven inches (18 cm); horizontally thirteen inches (33 cm)) – around 200 times their own body length, making the flea one of the best jumpers of all known animals (in comparison to body size), second only to the froghopper. The flea body is hard, polished, and covered with many hairs and short spines directed backward, which also assists its movements on the host. “A flea circus refers to a circus sideshow attraction in which fleas are attached (or appear to be attached) to miniature carts and other items, and encouraged to perform circus acts within a small housing. Fresnel lenses were provided to help visitors to view the attraction.